Martin's debut solo album titled Exile and the Kingdom was released in Canada and Australia in 2006. Among those who worked with Martin were Michael Lee and Ritesh Das (Toronto Tabla Ensemble). The first single, titled "The World is Calling", is an open letter to the Bush administration. During this time Martin was supposed to collaborate with Scott Stapp but it did not ensue. In November 2006, Martin released a live album recorded that September, titled Live in Brisbane 2006. The two-disc album features Ritesh Das and the Toronto Tabla Ensemble, and consists of both solo and Tea Party songs. The album is a complete recording of a live performance full of Jeff's banter with bandmates and the audience, including his thoughts on the disbanding of The Tea Party and where he sees himself in life. In May 2007, Martin released his second live album Live in Dublin recorded with drummer Wayne P. Sheehy, while Martin's first solo music DVD Live at the Enmore Theatre was released through Shock DVD in July 2007. In early 2008 Martin (lead vocals, guitars) and Sheehy (drums) formed The Armada. The band's debut album, which features a similar sound to the Tea Party, was released on November 4, 2008. 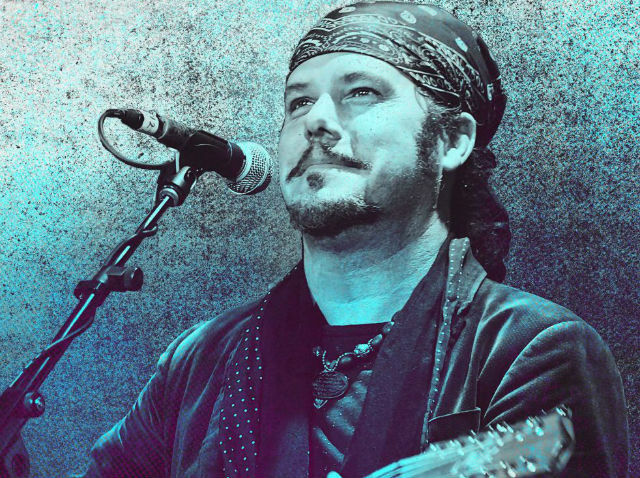 In 2010, Martin began work on new music with Jay Cortez and Malcolm Clark (formerly of The Sleepy Jackson) for a new album to be entitled "The Ground Cries Out" under the new bandname of Jeff Martin 777. On January 10, 2011, the title track from the album was released on Martin's Myspace page. The Ground Cries Out was released in Canada on March 1, 2011 and has subsequently been released in Australia. Following a Jeff Martin 777 Canadian tour, the band toured Australia from May 2011. During the tour Martin announced a reunion of The Tea Party for some Canadian shows in July and August. Following the success of those shows, The Tea Party announced the reunion was permanent.